Then he made the disciples get into the boat and precede him to the other side, while he dismissed the crowds. After doing so, he went up on the mountain by himself to pray. When it was evening he was there alone. Meanwhile the boat, already a few miles offshore, was being tossed about by the waves, for the wind was against it. During the fourth watch of the night, he came toward them, walking on the Sea. When the disciples saw him walking on the sea they were terrified. "It is a ghost," they said, and they cried out in fear. At once (Jesus) spoke to them, "Take courage, it is I; do not be afraid." Peter said to him in reply, "Lord, if it you, command me to come to you on the water." He said, "Come." Peter got out of the boat and began to walk on the water toward Jesus. But when he saw how (strong) the wind was he became frightened; and, beginning to sink, he cried out, "Lord, save me!" Immediately Jesus stretched out his hand and caught him, and said to him, "O you of little faith, why did you doubt?" After they got into the boat, the wind died down. Those who were in the boat did him homage, saying, "Truly, you are the Son of God." One of St. Peter’s most glaring traits was his impetuousness. Whenever called upon to speak or to act, he could always be depended upon to react almost instantly, with little to no calculation. This was among his most endearing qualities, for it often serves as a caricature for every believer’s desire to act instantly whenever Jesus asks for His will to be accomplished or to react without hesitation in the face of a challenge that our Lord offers. And yet, it was also impetuousness that led Peter to regret his words or immediate reactions to Jesus’ challenge to deeper faith. For example, Peter’s immediate reaction to Jesus’ prediction of His death and resurrection led Peter to try to dissuade Jesus from accomplishing His mission. Our Lord’s reaction of, “Get behind me, Satan!” gives us a sense of Jesus’ reaction of Peter’s impetuous words. Peter’s impetuousness was also on display when he saw Jesus walk across the water. When the disciples became fearful of Jesus as he walked on the water, thinking Him to be a ghost, it was Our Lord’s immediate response to take courage and not be afraid that restored temporary confidence in their hearts. Without much forethought Peter tested Jesus with an additional sign to command him to come out and walk on the water. When Peter took his eyes off of the Lord, perceiving himself to be powerless in the face of the elements, trouble ensued. This sequence of events reminds us of our constant need to remain focused on Jesus, even when outside factors appear to overpower our own abilities. Without Jesus, our own abilities limit us. With Jesus, even walking on water is possible. The God who created the universe out of nothing is well-qualified to direct our lives and allow us to overcome seemingly insurmountable difficulties. We do well to ask ourselves if it would take something as dramatic as Peter’s experience to teach us to trust Jesus. Can we be more fervent believers with lesser manifestations of our Lord’s omnipotence and love? Can we “set out to the other side” on Jesus’ command even when our paltry human calculations tell us not to trust Him? Jesus desires deep faith – a necessary component of being saved. Moreover, we do well to temper our initial zeal for accomplishing Jesus’ will with a steady, prudent and calculated approach as to how to cooperate with God’s grace to meet the demands of discipleship, keeping our eyes focused on the Lord – the source of all life and goodness. 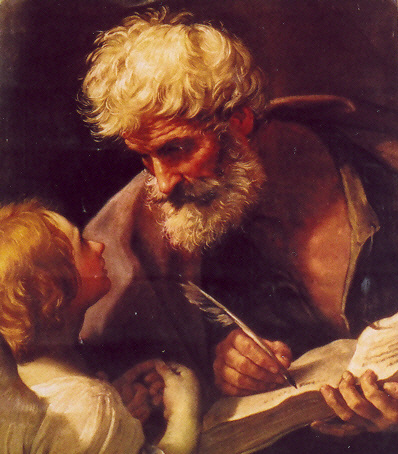 In his own life, St. Peter eventually learned how to curb his impetuousness with a willing and deliberate decision to imitate the very person he once tried to dissuade from accomplishing the Father’s will. St. Peter accomplished the Father’s will in his own life by the supreme sacrifice of martyrdom on a hill in Rome called Vaticanus.